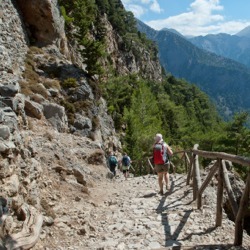 In spring and autumn we walk six days a week in the wider area of Crete. During the summer we offer a special programme with various excursions. 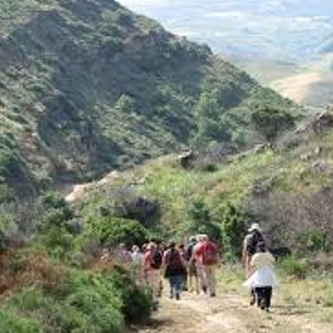 Under daily walks description' and , you will find the details of the various walks and excursions. - The guide collects the entrance fees on the coach & he issues your tickets before you get off the coach. - You will stop at Omalos at one of the tavernas to get a coffee /breakfast and then you are taken to the start of the gorge. You can refill your water bottles during the walk at the specifi springs. - Coach ride from Sougia to the north coast. 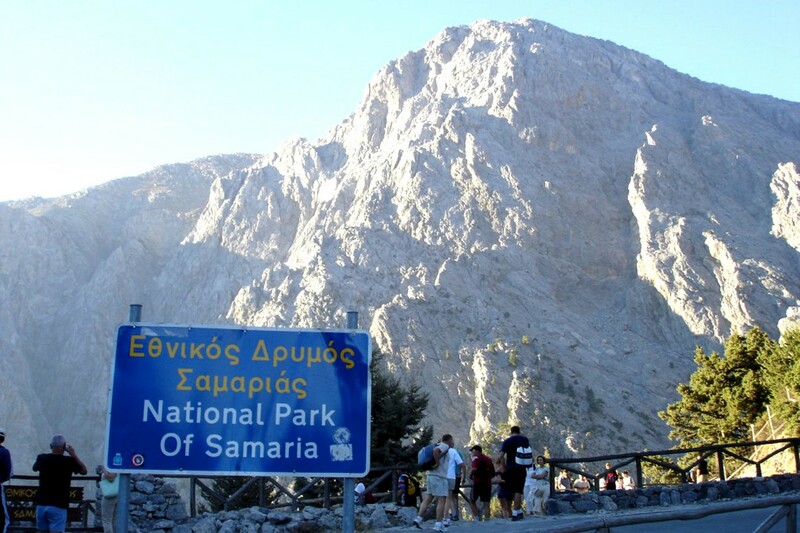 Note:If you suffer from a heart condition, high blood pressure, breathing problems, weakness of knees or other knee disorders, vertigo, or pregnant women- THE SAMARIA GORGE IS OFF LIMITS TO YOU, for your own safety! This is not an easy walk. It’s 12miles/18kms of sometimes very steep and rough terrain. The heat is also a factor that you must keep in mind.